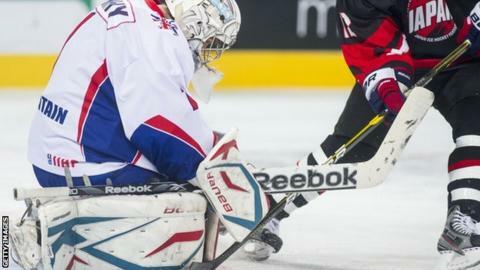 Injured Belfast netminder Stephen Murphy has been ruled out of the Great Britain squad for the 2014 Winter Olympics' final qualifying event. Murphy picked up a groin strain in mid-January but had hoped to be fit for the four-game tournament, which begins against hosts Latvia on Thursday. Basingstoke's Stevie Lyle, who last played for Britain three years ago, has been recalled by coach Tony Hand. "We knew it was always going to be touch and go with Murphy," said Hand. "He is a tremendous netminder and is he really disappointed not to be going, but we have a fantastic replacement in Lyle." Nottingham Panthers defenceman Jonathan Weaver will also miss the tournament due to injury with team-mate Steve Lee taking his place. GB play France on Friday and Kazakhstan on Sunday with the group winner securing a place at the 2014 Winter Olympics in Sochi, Russia.